The mobile application from Kiwi.com is the world’s leading product in the travel industry thanks to advanced features based on its proprietary algorithm. One can use the app for purchasing a ticket, booking a hotel, renting a car, finding insurance, searching the details of a particular airline or airport, arranging the trip schedule, searching for places of interest at the destination, and purchasing tickets for various events. Thanks to the Kiwi.com mobile app, the user can quickly and easily arrange their whole vacation. 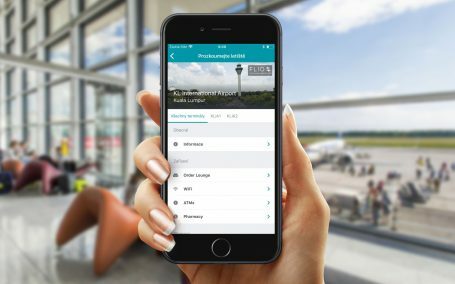 Brno-based Kiwi.com, an online travel agency, offers all users of smartphones the easiest of bookings and purchases through their iOS and Android mobile apps. The Kiwi.com mobile app guides its users literally through the entire holiday, presenting many advanced features in its offer while other innovative application features are in the works. The Kiwi.com mobile app has been developed by an internal team of experts. The current version of the app came into being in 2015, and continues to be developed for both iOS and Android devices. Its popularity is growing extremely fast. The number of Kiwi.com mobile app users increased by 2,000 % in a year and a half, with 200,000 of active users worldwide. On a monthly basis, the app contributes with CZK 60-70 million to the company’s total turnover.